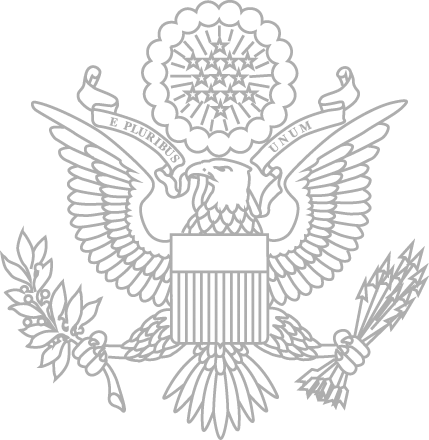 The Art in Embassies: Morocco course is a partnership between The Rhode Island School of Design (RISD) and the U.S. Department of State’s office of ART in Embassies (AIE). This collaborative project has been designed to promote cross-cultural exchange, and to recognize and nurture the talents of the next generation of professional artists. Renowned artist Jim Drain worked cooperatively on a sculpture for the new U.S. Embassy Rabat, Morocco, with a select group of students at the Rhode Island School of Design (RISD). During the students semester, questions Jim and the students discussed during the design and construction phase were “What does it mean to make a sculpture for a US Embassy?”, “What does it mean to borrow symbols of another culture?”, “What is cultural diplomacy and how do you design for it?”. The students worked with Jim throughout the course in the winter of 2012 to design an outdoor sculpture which debuted in Washington D.C. for the 50th Anniversary of Art in Embassies. 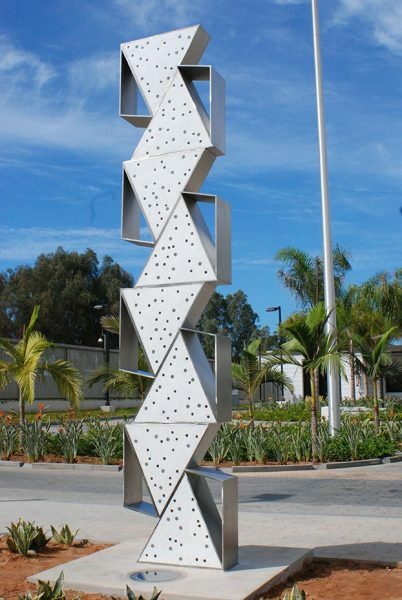 The sculpture and model were installed in at the U.S. Embassy in Rabat in 2015.